This 2 Day Event May Be Responsible for Creating More Millionaires Than Any Other Real Estate Investment Event on The Planet… It Can Double the Size and Profits of Your Company (or get you started Investing) In Six Months Or Less Regardless of the Number of Deals You’ve Done! Training the right way is the difference between those who ultimately win and those who lose. Legendary football coach Vince Lombardi always started each season’s training camps by revisiting the fundamentals. There’s so much information contained in this training course we can’t list it all here, but the bottom line is that this course was designed with a focus on revisiting and mastering the fundamentals to win. Regardless of your experience with real estate investing, we’re 110% confident you’ll come away from Investors Summit with the confidence and knowledge you need to make money buying, selling, and investing in real estate. Space is limited so sign up for our next event today!!! Learn how to buy, sell and hold real estate the right way, and generate stable long term income through real estate investing. This training course is perfect for novice and seasoned investors alike. First time real estate investors will gain invaluable information on how to buy, sell, and hold properties to maximize your return on investment while seasoned real estate investors will appreciate the straightforward back to basics approach and plethora of tools and resources presented. This two day course is designed to take you through the real estate investing life cycle one step at a time and show exactly how to get started in buying and selling real estate. Frankly, we don’t care what your level of experience is with real estate investing. 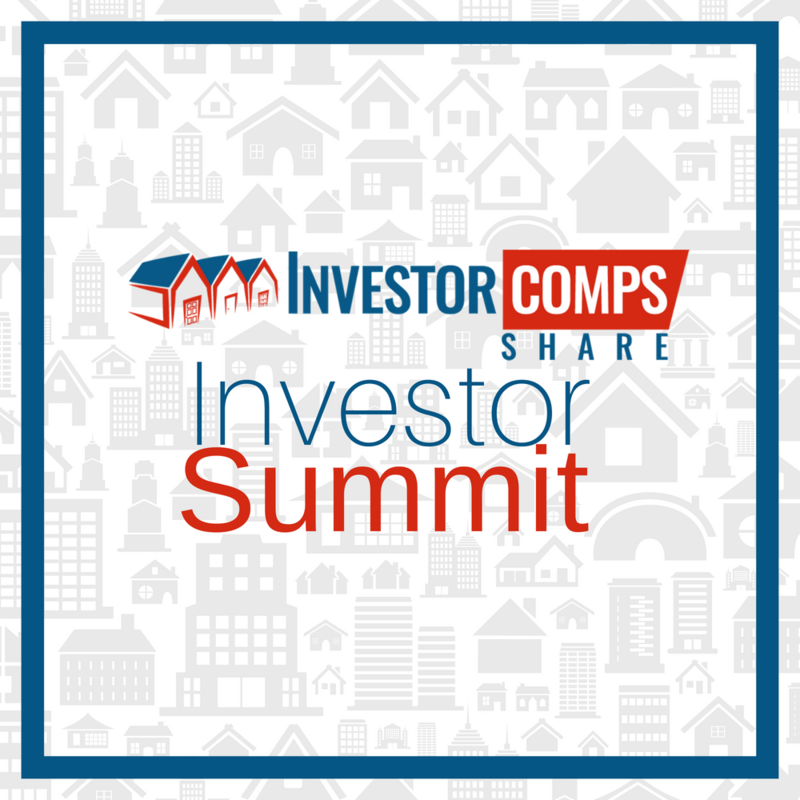 We’ll show you the InvestorComps method for maximizing profits from your investment holdings.